Nintendo is primed to release Super Smash Bros Ultimate, and it looks to be a very big deal indeed. The headline feature is of course the fact that every single fighter from the annals of Smash history is part of the roster. There’s also a bunch of new characters, from long-requested fan favorites to unexpected but still delightful oddities. To help you decide which fighter to pick, we’ve been putting together character guides for every single fighter in Super Smash Bros Ultimate. In this Super Smash Bros Ultimate Mewtwo guide, we’ll be taking a look at Mewtwo. We’ll detail the changes that it has undergone since last appearance, and take a look at the Alternate outfits and Final Smash. Super Smash Bros Ultimate has the largest roster of fighters in the series yet. There are 74 proper characters in total, with a few Echo Fighters thrown in for good measure. 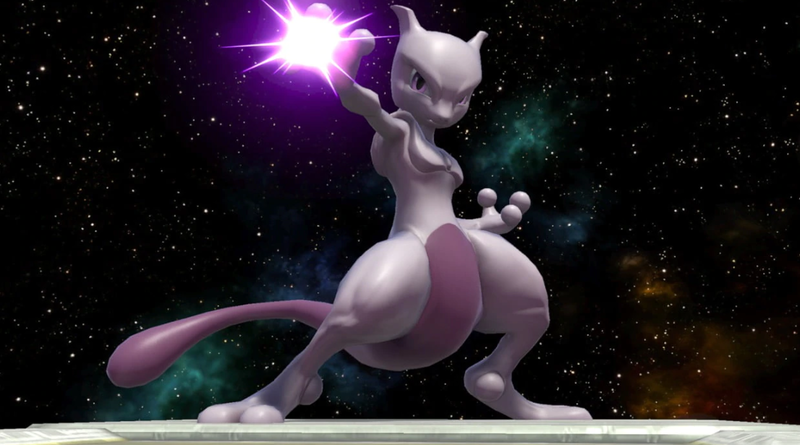 Mewtwo returns after having featured in both Melee and SSB4. He’s a tricky fighter to master, but can be very powerful if used correctly. Let’s take a look at how Mewtwo plays in the new game. 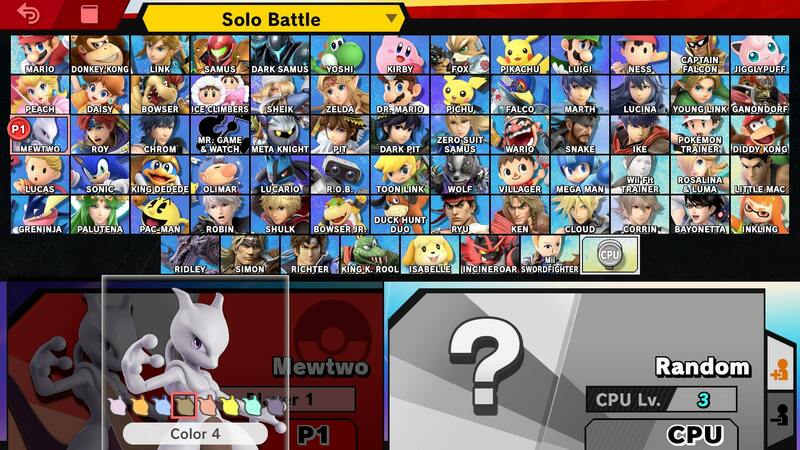 In the table below, you can find a list of all of Mewtwo’s moves in Super Smash Bros. Ultimate. There’s also Mewtwo’s Final Smash, called Psystrike, where Mewtwo changes into Mega Mewtwo Y. Several of Mewtwo’s animations have been tweaked including Victory Pose, Idle, Up Aerial, and Disable. Speaking of Disable, it can now be countered and has more range in terms of vertical reach. Shadow Ball deals less damage but reaches full charge more quickly. Mewtwo is generally slower and heavier. Dash Attack plays out slightly differently, with Mewtwo attacking with one hand in front of the other. The visual effects around Teleport have been tweaked slightly. 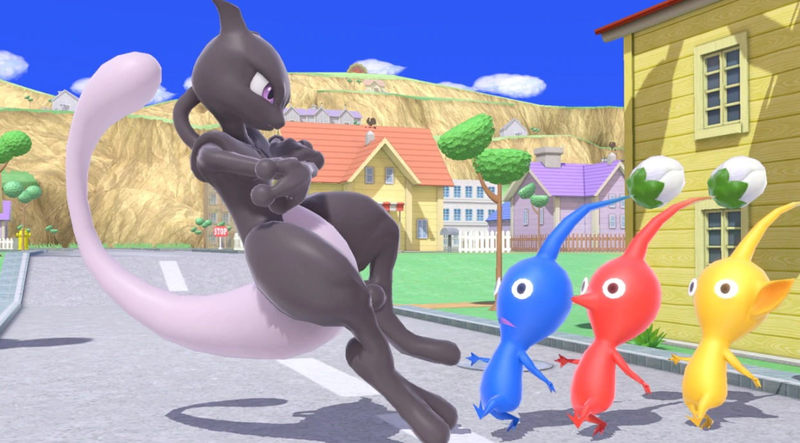 Mewtwo’s variants make a return in Super Smash Bros Ultimate, and they look to be identical to the ones used previously. This includes orange, blue, brown, red, yellow, green, and dark versions. We’ll be updating with screens once we get our hands on the full game. You can get a look at the black Mewtwo variant in the image embedded above. Mewtwo’s Final Smash in Ultimate is Psystrike. This is the same as last time, but there are some slight changes. The ball that Mewtwo launches is now a different color, and the animation that plays out when it hits an enemy is much more hectic. You can see it for yourself in the trailer embedded above. That’s everything we know about Mewtwo in Super Smash Bros Ultimate. We’ll be adding more info as we get it, but in the meantime you can head over to our Super Smash Bros Ultimate Guides Hub for more info on the game.